I just got my upgraded C-MARC AC cables. I must remember that all my previous Less Loss products have taken 6-10 WEEKS to fully break in. Given that reality I am very impressed at how wonderful these wires are. I will ignore tonality for now as that will improve quite a bit going forward ( some pluses and some minuses vs previous cables for now but that is meaningless). The most impressive and important difference (my first edition C-MARC cables were already a huge upgrade over AC cables that cost $4K and are widely lauded) is the pace and musical communication these wires allow. I feel like I have a top notch analog system for the first time (it's all digital). Even listening from two rooms away I am drawn to the music and must discipline myself to go back to typing this. The momentum and the fluidity of microsecond changes in volume and emphasis causes me to imagine a 100 pound turntable in the other room. It is just so SOLID and unstoppable! Imaging is magical. Even studio effects are captivating as things bounce around in three dimensional space. Acoustic recordings sound very present and real. I have been startled in a way I have not experienced from a stereo system by sudden sounds and the tail of sounds as they diminish are highly audible and very natural. Different recordings sound much more different from one another. I prefer to listen to what I like rather than to audiophile discs. Mediocre to bad recordings that I am very familiar with ( The Who Sell Out for example) provide utterly transformed listening experiences. It's not the relatively trivial "I hear things I never heard before". It's the much more profound experience of discovering musically meaningful instrumental lines that you never noticed with other cables in place the first 100 times you listened to this CD. I struggle to imagine what this will be like in six weeks but for now I am experiencing an upgrade that I would have thought possible only by changing out all my equipment for gear of triple the cost. Over the past few weeks I have auditioned your C-MARC XLR Interconnects in my audio system and am very impressed with what I am hearing. In fact, the C-MARCs have supplanted my venerable reference cables that cost 5 times as much. Your C-MARC XLR cable beats my priciest XLR interconnects: Jorma Origo, Von Schweikert Master Built, and Stealth Metacarbon. The C-MARCs have an open, balanced and vibrant sound that is clear, full-bodied and non-fatiguing. With the C-MARCs everything sounds more realistic and present, without being in-your-face or impolite. It is rare for a cable to be both highly resolving and musical. Compared to the C-MARCs, my heretofore reference cables sound dull and like they are missing information. The C-MARCs not only handily beat much more expensive cables; they complement and play nicely with equipment and other cables in my audio chain. The C-MARC interconnects have made a positive difference that I can easily hear and appreciate. Thank you. 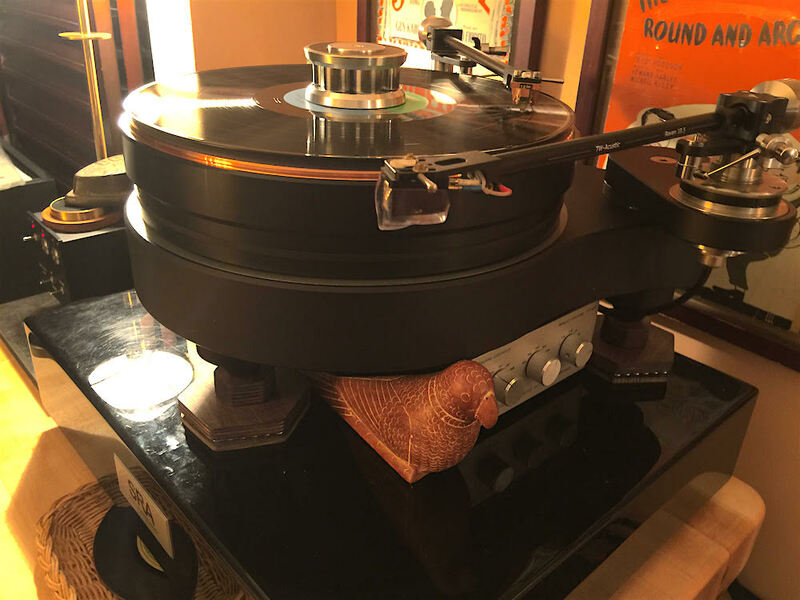 I wanted to inform you that during the listening sessions of the Accuphase CD player and amplifier that I recently purchased, the audition took place with a very expensive, top-of-the-line Acrolink loom. I took my C-MARC XLR cable with me and it clearly sounded better than the Acrolink interconnect. Considering the price of the Acrolink (close to $2,000), this says a lot about the C-MARC cable! With the LessLoss power distributor (with 36 Firewall module) & C-MARC power cables, they significantly reduce HF noises generated from my audio system (normally I could not listen to music from my system longer than 2 hours). After I use the LessLoss power distributor & power cable in the system, it was so unbelievable that I could listen more than 4 hours with the new experience of music from my audio equipment. It is far, very far beyond my expectation. It's just simply PERFECT for me! In such a moment I am happy to not be a cable company. I consider this wire to be a major problem for them. There seems to be so much right about it. Congratulations on this superbly intelligent design. I also built a home made power filter using two stacks of 3 'naked' Firewall boards each, and got the plug-and-play Firewall 5X and one USB Firewall Key. I also got one DFPC Signature mains cable for the Firewall filter. They all work perfectly together and give a huge improvement in more silent background, a bigger soundstage, clearer and deeper bass, and an increase of the organic natural aspects of the sound. All this is achieved by killing noise. I simply can't listen without this product in my setup. This is an unbelievable high-end extension in so many ways! I am deeply impressed by Your knowledge and development of noise and electro magnetic radiation suppression. Your products are truly superb. Yes it costs some money but I personally do not regret it. This is my best additional high-end investment! Before summer I had an audio session with some of my best audio friends. One of my my friends brought a pair of the new C-MARC RCA Interconnects. we tried it out in many position in my audio rig and we heard right from the start this was a good high end cable with great natural timbre, better holographic and more organic sound. For fun we also tried a single RCA as a digital 75 Ohm cable with great results. It simply blew away all my other digital cables. I emailed Louis and got an Early Bird offer and ordered a pair of C-MARC RCA cables and one single run for S/PDIF. This is a well made, nice, flexible and incredible design. I do not understand how it is possible to produce this complex "Litz." It is a fantastic hum bucking cable that truly works. I FIRST DISCOVERED LESSLOSS AS I WAS IN THE PROCESS OF DISPOSING THE COMPONENTS OF MY TRIPLE-A 1st CLASS SYSTEM ASSEMBLED OVER MANY YEARS. HAVING GROWN INTO ADVANCED SENIOR YEARS, MY INTENTION WAS TO SIMPLIFY MY LIFE AND CREATE THE FINEST HEADPHONES ONLY SYSTEM I COULD ACQUIRE. AT THAT POINT I HAD ON HAND THE BURMESTER POWER CONDITIONER, CD PLAYER AND PREAMP, THE WEISS ENGINEERING DAC 202, THE WOO AUDIO CUSTOMIZED WES HEADPHONE AMPLIFIER AND MY MAC BOOK PRO WITH EXTERNAL DRIVES FOR THE DIGITAL MUSIC STORAGE. AT FIRST, I PURCHASED THE DFPC POWER CABLE. OVER MANY LISTENING SESSIONS WITH THE POWER CONDITIONER AND WITHOUT IT, SUBSTITUTING THE LESSLOSS DFPC POWER CORD, I NOTICED SOMETHING VERY PLEASANT IN THE SOUND. IT WAS VIRTUALLY IMMEDIATE. IT WAS HARD, AT THIS POINT, TO QUANTIFY THE IMPROVEMENT. AFTER A FEW WEEKS I ORDERED THE FURUTECH 4-OUTLET DISTRIBUTOR AND 4 DFPC POWER CORDS. ALL SUPPLIED POWER CORDS WERE REPLACED WITH THE DFPC CORDS, AND RUN FROM THE DISTRIBUTOR TO EACH UNIT. WOW! IMMEDIATELY ON PLAYBACK THERE WAS A VERY OBVIOUS EASE IN LISTENING - OPENNESS - RELAXED SOUND - IMPROVED DYNAMICS - IMPROVED BASS AND TREBLE 100%. THE ENJOYMENT IN LISTENING EVEN GREW OVER TIME. SUBSEQUENTLY LESSLOSS RELEASED ITS FIREWALL LINE OF PRODUCTS. TO MY SURPRISE, IN ADDITION TO THE OTHER PRODUCTS INSTALLED, THE QUALITY OF THE SOUND FUTHER IMPROVED IN THE SAME WAY AS BEFORE! THEN CAME FIREWALLS IN SMALL WOODEN BOXES CONTAINING ONE FIREWALL CARD OR FIVE CARDS. SURPRISINGLY IMPROVEMENTS FOLLOWED. IT WAS A CONTINUATION OF THE ORIGINAL OPENNESS - RELAXED SOUND - IMPROVED DYNAMICS - IMPROVED BASS AND TREBLE 100%! NOT TOO LONG AFTER, I RECEIVED A NOTICE FROM LESSLOSS OF A NEW CABLE AND POWER CABLE IDENTIFIED AS "C-MARC." I MUST ADMIT I WAS A BIT AFRAID TO TAKE THIS PROCESS ANY FURTHER. I COULDN'T BE ENJOYING MY SYSTEM MORE. OR SO I THOUGHT. IT TOOK A LOT OF CONVINCING, CAJOLING, BEGGING AND YOU NAME IT, BUT A LARGE PACKAGE OF C-MARC TRIAXIAL POWER CABLES AND REGULAR C-MARC CABLES SOON ARRIVED. BEING AFRAID TO REPEAT ALL MY PREVIOUS COMPLEMENTS, LET ME JUST SAY THAT EACH TIME I PLAY MY SYSTEM, I HAD BETTER HAVE AVAILABLE FOOD AND DRINK FOR THE MUSICIANS. SO GOES EVOLUTION. CALL DARWIN! IN THE MIDST OF UPGRADING TO LESSLOSS DFPC CABLES, THE 5X FIREWALLS, THE USB FIREWALL KEYS, I RECEIVED NOTICE OF A NEW PRODUCT FROM LESSLOSS. IT WAS A LADDER DAC: ECHO'S END. WITH THEIR RECORD OF SUCCESS WITH ME, AND THE 30-DAY RIGHT OF RETURN, I HAD TO "GIVE IT A SHOT." I HAVE HAD SOME MARVELOUS DACS IN MY SYSTEM IN RECENT YEARS. IN RETROSPECT, HAVING EXPERIENCED THE ECHO'S END, I CAN HONESTLY SAY THAT ALTHOUGH THEIR SOUND WAS VERY CONVINCING, THERE WAS A NATURALNESS, A YOU ARE REALLY THERE OPENNESS QUALITY TO THE ECHO'S END THAT NONE OF THE OTHERS OFFERED. OF COURSE I WOULDN'T HAVE KNOWN THIS IF I HADN'T EXPERIENCED THE ECHO'S END. IT IS NOT THAT THIS DAC WILL HIT YOU ON YOUR HEAD. IT IS MORE SUBTLE THAN THAT. IT IS MORE LIKE BEING IN THE LOBBY OF THE HALL WHERE THE ORCHESTRA IS PERFORMING, AND YOU OPEN THE DOOR AND ENTER THE AUDITORIUM. YOU ARE SUDDENLY ENVELOPED BY THE SOUND OF THE PERFORMANCE. TRULY, IT IS THAT CONVINCING. I AM CERTAIN WE ALL HAVE EXPERIENCED THIS LAST EXAMPLE SO I BELIEVE YOU CAN UNDERSTAND THE DIFFICULTY IN FINDING THE RIGHT WORDS TO DESCRIBE THE EXPERIENCE. THAT IS MY TAKE ON THE ECHO'S END. IT IS EASILY BECOMING A GOOD FRIEND!